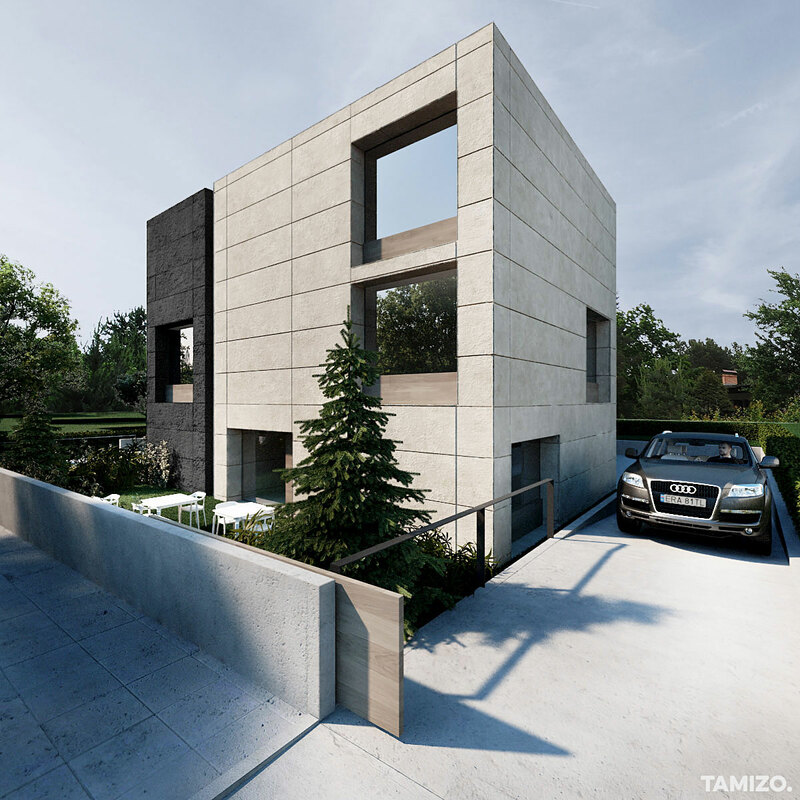 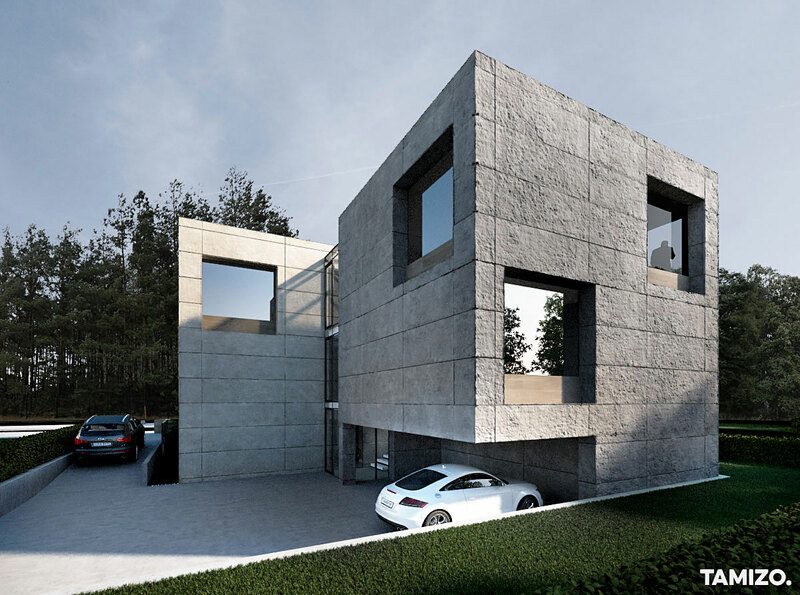 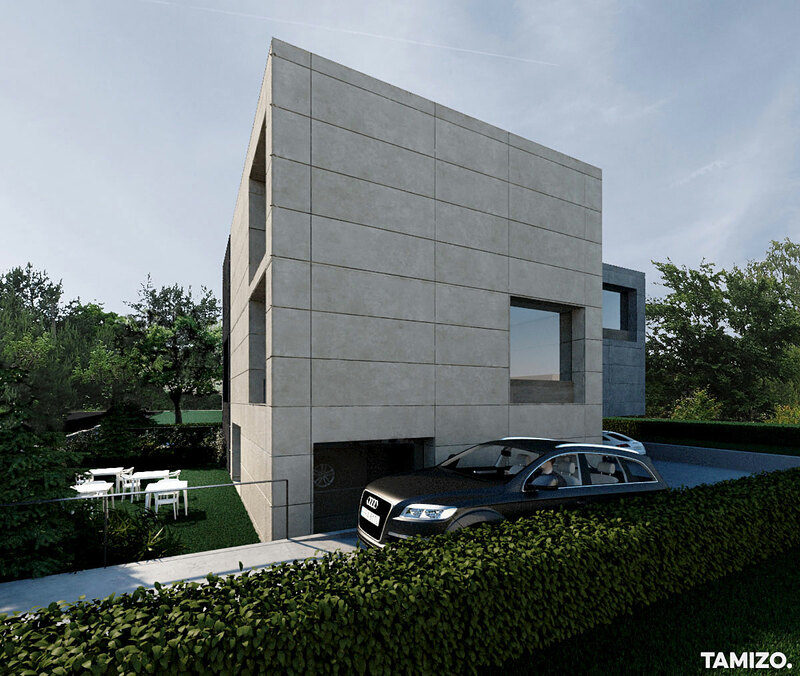 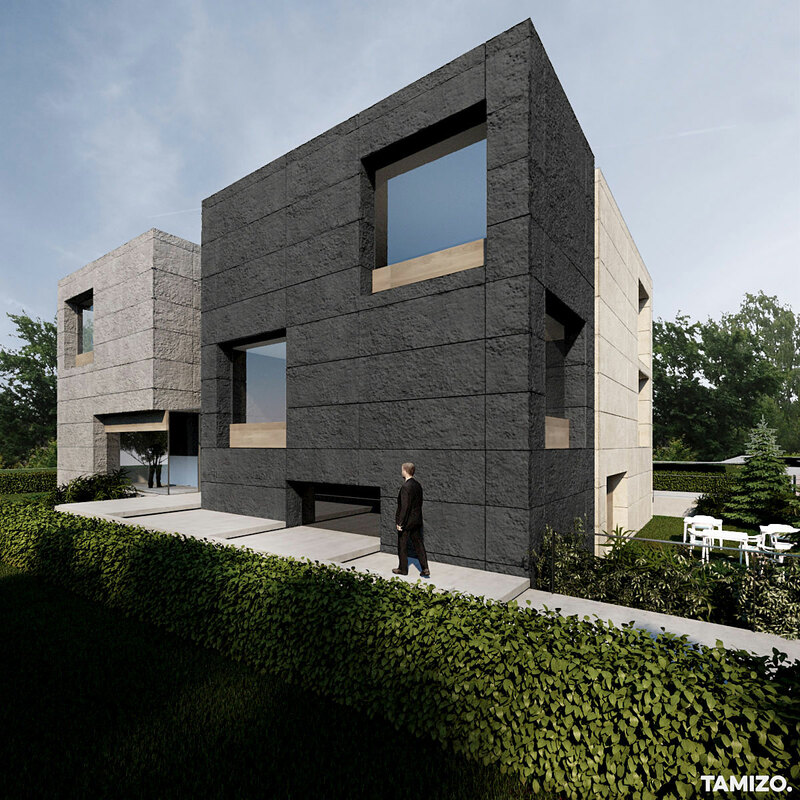 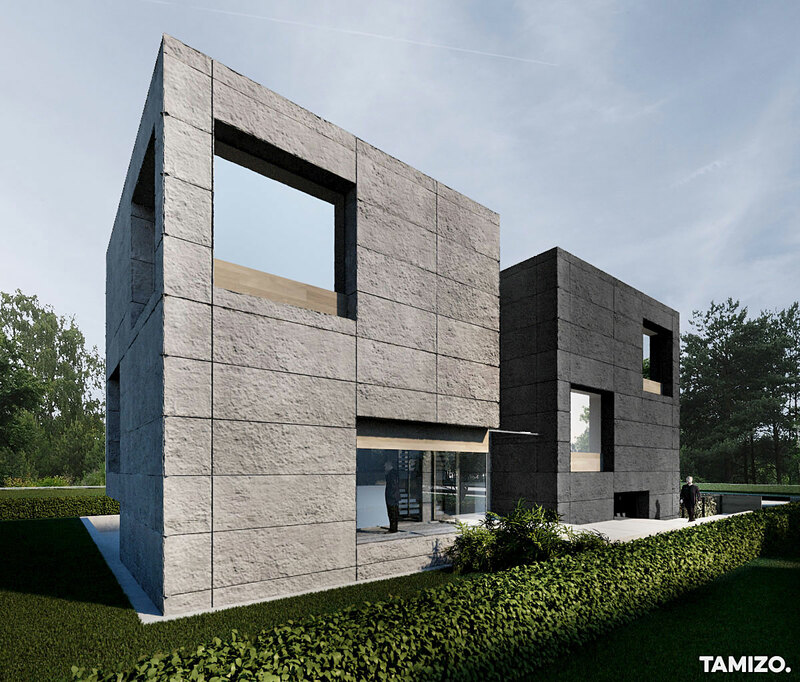 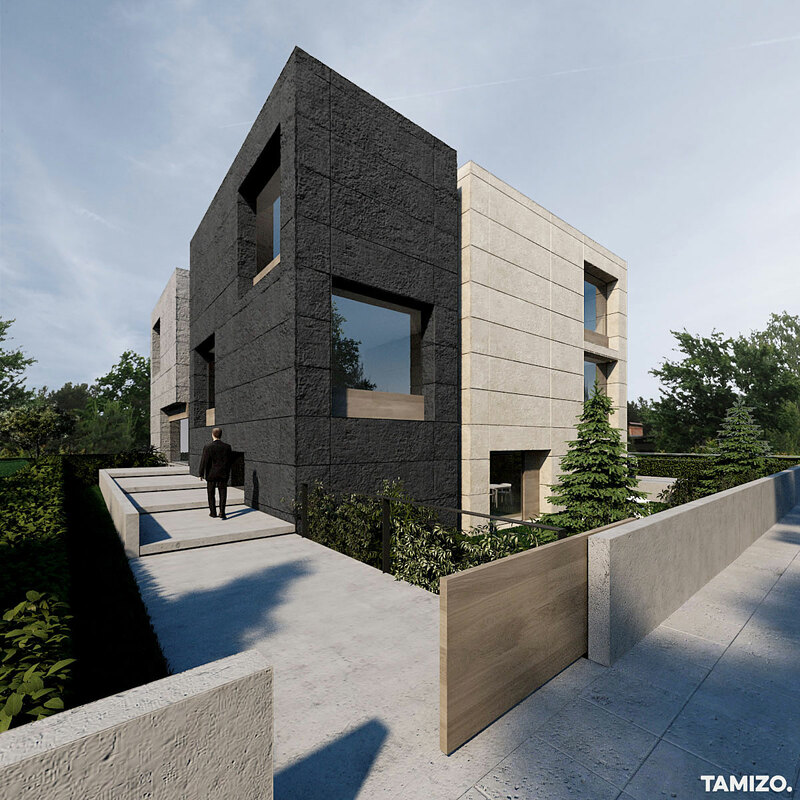 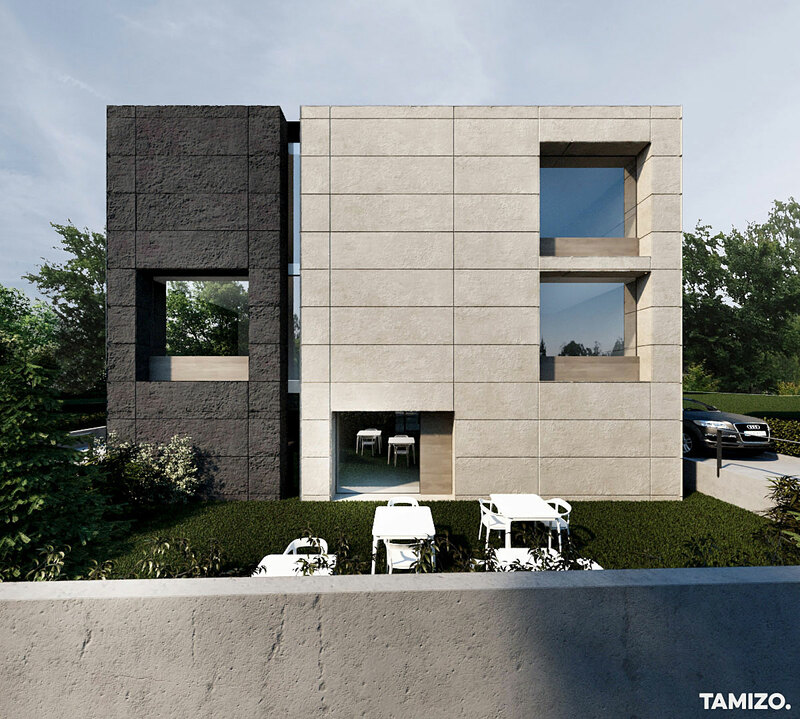 On a small plot in Szczecin stood a cube house, which our client acquired along with the plot. 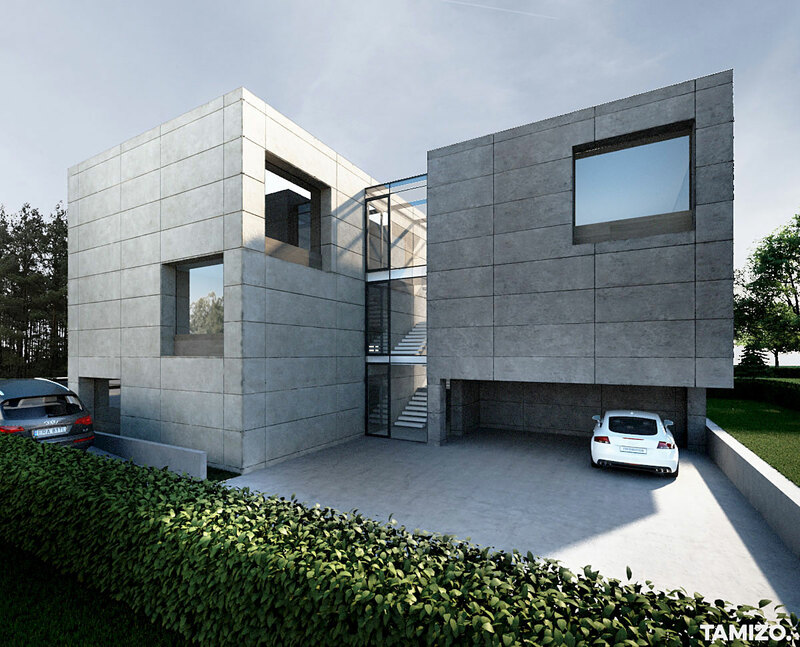 Right from the start he the planned to extend the building and to change its intended use to turn it into an office. 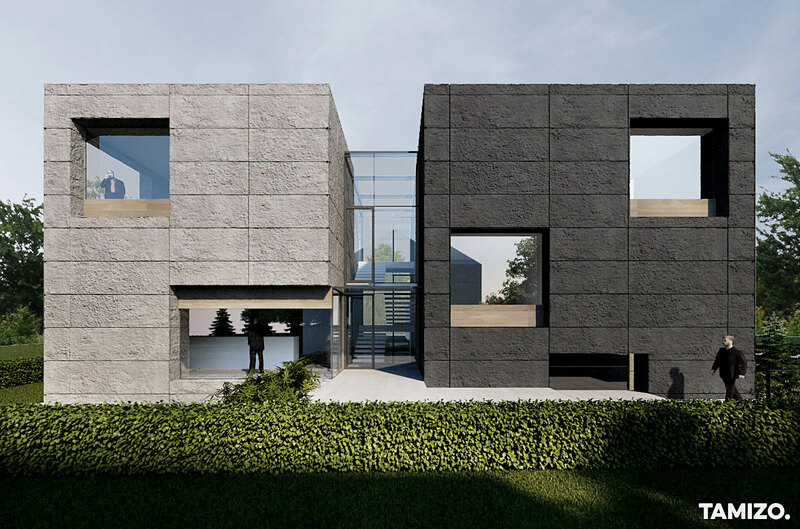 Making maximum use of the possibilities stemming from the local plan, we designed a building consisting of three simple bodies of the building. 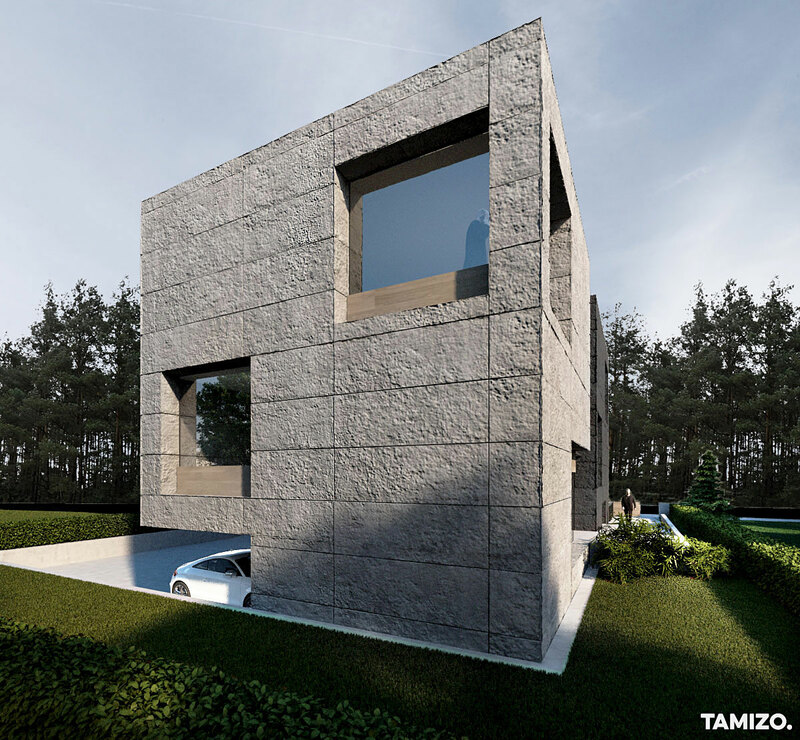 Their unique character was given by the carefully designed proportions and the window details as well as the elevation material.